The following blog post is by Ronnie Neil, strategic marketing manager for customer experience assurance at JDSU. There is no doubt that virtualization is one of the hottest technology topics with communication service providers (CSPs) today. Nearly all the forecasts suggest that widespread NFV adoption will happen over the next few years, with CSPs benefitting from significantly reduced operational costs and much higher revenues resulting from increased service flexibility and velocity. 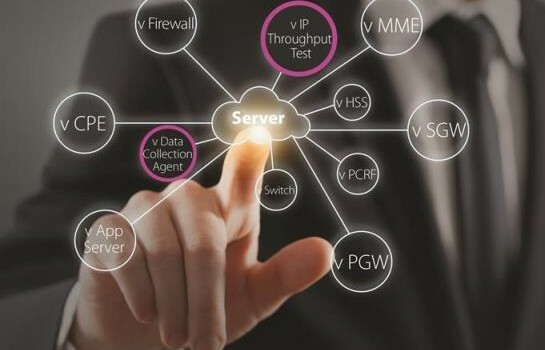 So much for the hype – but where do NFV standards, guidelines and technology implementations stand today and when will the promised benefits be fully realized. The financial benefits of virtualization will incrementally grow as each stage is reached with the full benefits not realized until stage 3 is reached. So where are we today in this NFV evolution? Islands of specific network functions with no-to-little service chaining and manual configuration. Either islands of specific network functions with dynamic self-configuration, or introduction of service chaining, but again employing manual configuration. Finally, service chaining coupled with dynamic self-configuration functionality. Phase 1 is already happening with some early commercial deployments of stand-alone virtualized network functions. hese deployments include virtualized functions of customer premise equipment (CPE), for example gateways and firewalls, and evolved packet core (EPC) components, such as HLRs and MMEs, these functions lending themselves to virtualization due to their software-only architectures. But generally speaking this is as far as commercial NFV deployments have reached in their evolution, with phases 2 and 3 still some way off. One of the main reasons for this is that these latter phases introduce major new requirements for the management tools associated with network virtualization. And it is only recently that industry efforts to define standards, guidelines and best practices for the management and orchestration of NFV (or MANO as it is referred to) are starting. The emphasis up until now within research forums has been to focus on the basics of delivering the network function virtualization itself. The TM Forum Zero-touch Operation, Orchestration, and Management (ZOOM) program is one of the foremost industry forums focused on the MANO aspects of virtualization. At this year’s TM Forum Live! event (Nice, France, June 1-4), the following two ZOOM-related catalyst projects will demonstrate aspects of MANO associated with NFV dynamic self-configuration. If attending, please visit the NFV catalyst projects demonstration area where you’ll learn more about the challenges associated with the evolution of virtualization, and the progress being made to address these challenges. Experts from the CSPs, NEMs and management solution vendors will be ready to exchange views with you on this hot network technology topic. Ronnie Neil is a strategic marketing manager for customer experience assurance at JDSU.